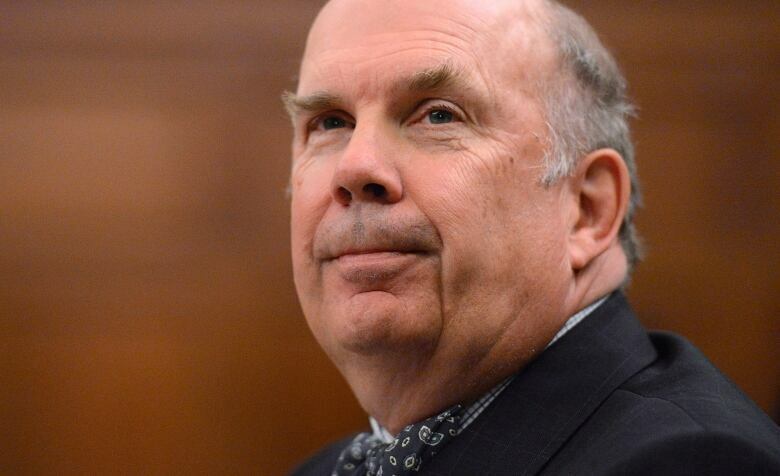 The Prime Minister's Office suggested that the chief justice of the Supreme Court of Canada tried inappropriately to intervene in the process to appoint Justice Marc Nadon, even though her advice came before Nadon's appointment was announced and ultimately would have saved the government an embarrassing defeat. The Prime Minister's Office late Thursday suggested that the chief justice of the Supreme Court tried inappropriately to intervene in the process to appoint Justice Marc Nadon, even though her advice came before Nadon's appointment was announced and ultimately would have saved the government an embarrassing defeat. The appointment of Nadon, a respected Federal Court judge, to replace retired Justice Morris Fish, eventually led to an expensive reference to the Supreme Court about his eligibility, and a public humiliation for Nadon. Last month, the court issued an opinion that, constitutionally, Nadon was not eligible to represent Quebec because he had been a Federal Court judge in Ottawa for the past 20 years, and was not a sitting Quebec superior or appeals court judge, nor a current member of the Quebec bar. But months before the top court's decision, Chief Justice Beverley McLachlin had already advised then-Minister of Justice Peter MacKay about a "potential issue" in naming a Federal Court judge to represent Quebec on the highest court. 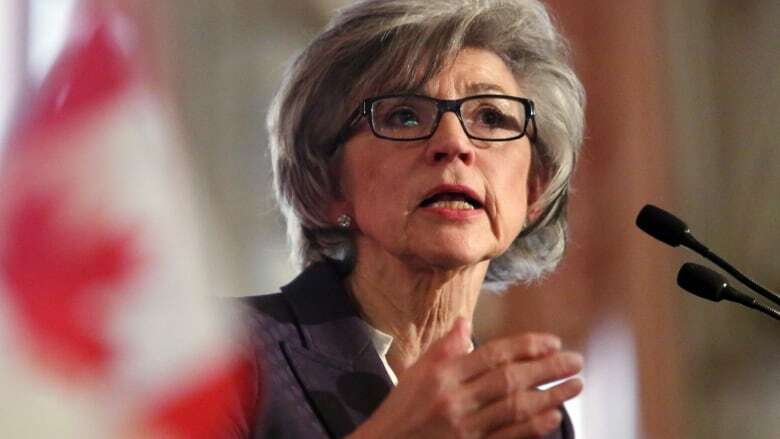 That information was made public Thursday, when, in an unusual move, McLachlin's office publicly replied to allegations she may have lobbied against Nadon's appointment. A statement issued by the Supreme Court's executive legal officer, Owen Rees, explains McLachlin was consulted by the special parliamentary committee that was tasked with studying a short list of names drawn up by MacKay's office. The statement from Rees was a response to a question put by journalist John Ivison of the National Post asking for a comment about whether McLachlin "lobbied against Justice Nadon's appointment," as Ivison says a source had told him. "The chief justice did not lobby the government against the appointment of Justice Nadon," Rees wrote. He said McLachlin or her office flagged a potential problem to both MacKay and the prime minster's chief of staff, Ray Novak, but "did not express any views on the merits of the issue." Late Thursday, the Prime Minister's Office issued a statement saying MacKay informed Prime Minister Stephen Harper that taking a call from the chief justice would be "inadvisable and inappropriate. The prime minister agreed and did not take the call." There is nothing in the statement from McLachlin's office saying she wished to speak directly to Harper, and nothing in the statement from the PMO, written by spokesperson Jason MacDonald, that McLachlin in fact asked MacKay if she could speak to Harper. The PMO statement also says, "Neither the prime minister nor the minister of justice would ever call a sitting judge on a matter that is or may be before the court." However, the time line indicates McLachlin called MacKay at the end of July, shortly after she had spoken to the selection committee examining a short list of candidates for the court vacancy. At that point, there was no nomination, let alone a court case. Nadon wasn't appointed to the Supreme Court until two months later on Sept. 30. The challenge to his nomination came from a Toronto lawyer in a federal court a week later. It is not unusual for the chief justice to be consulted by the special selection committee whose deliberations are confidential. The committee consists of five MPs, three of them from the government side of the House of Commons, although in previous governments it also included legal experts. The dubiousness of Nadon's eligibility to become a Supreme Court judge was not exactly an unknown issue, the statement from Rees implies. "The question concerning the eligibility of a Federal Court judge for appointment to the Supreme Court under the Supreme Court Act was well known," Rees said. Despite McLachlin's advice, the government commissioned legal opinions about Nadon's appointment from two retired Supreme Court judges, Ian Binnie and Louise Charron. Binnie, who now works as a private lawyer, was paid over $7,000 for an eight-page opinion stating that Nadon was eligible for the job because he had at an earlier point in his career been a member of the Quebec bar for at least 10 years. Charron, who was paid over $4,000, agreed with Binnie's opinion. Binnie, who is out of the country, did not respond to emails from CBC News. That isn't the total sum the government paid for legal opinions about Nadon's appointment. Documents tabled in the Commons set out the costs of choosing and nominating Nadon. The tab includes $80,894 for legal services and another $152,294 for translation and other professional services. During a scrum in the House of Commons foyer, MacKay told reporters, "Look I am not going to get into private discussions about the individuals who are eligible for the Supreme Court." But, MacKay added, "We had two former Supreme [Court] justices who gave very clear opinions that suggested that Federal Court judges from Quebec were eligible." He did not address any opinion he may have received from McLachlin, other than to say, "Whether she called me to voice concerns that's her prerogative." Françoise Boivin, the NDP's justice critic, said the government tends to trash people who are the bearers of bad news. "When they are stopped by the court, well, it is not them who is wrong, it's everybody else," she said. MP Sean Casey, speaking for the Liberals, said, "What you've seen out of the government is nothing short of a smear." The fact the chief justice of the Supreme Court would issue a rare statement to scotch rumours she had lobbied against Nadon illustrates the tension between the top court and the Harper government. One legal expert says he's not sure where the current spat is coming from. "There is nothing unusual about contacts between the chief justice and the minister of the justice and the prime minister. Indeed, regular contact is healthy for the relationship between the branches of government and the administration of the country's top court," Adam Dodek, vice-dean of the University of Ottawa law school, told The Canadian Press. "Every minister of justice in this Conservative government and in its predecessor Liberal governments going back at least 15 years has stated publicly that they have consulted with the chief justice of Canada about appointments to the Supreme Court of Canada. So where is the issue and where is the problem here?" But Emmett Macfarlane, who teaches political science at the University of Waterloo, said in an interview, "It's not for a judge in my view to insert themselves into the political process, even if they are under the impression that they are trying to ward off trouble and try to be helpful." When the court decided last month the federal government could not unilaterally reform or abolish the Senate, unless it had the consent of most, if not all, of the provinces, Harper said the top court's decision was one "for the status quo, a status quo that is supported by virtually no Canadian." Harper also let it be known he was disappointed with the court's opinion on Nadon. Yet when Nadon's appointment happened, the Supreme Court didn't reject him, but welcomed him into its fold, giving him an office and a salary. It was a constitutional challenge from a relatively unknown Toronto lawyer, Rocco Galati, who specializes in terrorism cases, that started the legal process reversing Nadon's appointment. This headline on this story has been updated from an earlier version to avoid the impression that Chief Justice Beverley McLachlin warned the government specifically about Marc Nadon. In fact, she raised concerns about appointing a Federal Court judge to represent Quebec before Marc Nadon, a federal judge, was appointed. A quote in the story from Prime Minister Stephen Harper has also been expanded to clarify he was referring to lack of public support for the "status quo" when it comes to the Senate, not to the court's decision.